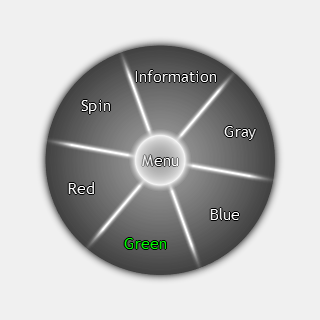 This is an example of a circular ('wheel') menu in GameMaker. Example is well-commented, easy to configure, and will automatically adapt to given number of menu items. Among other things, it demonstrates 'binding' of menu actions without using dynamic functionality, making it compatible with GameMaker: Studio.